In today’s world, academia, skills and talent may make you a good leader, but that’s not enough to make you a great leader. Great leaders know that in order to successfully deal with clients, employees, colleagues and management; they must be able to plan strategies, execute policies and make decisions that influence. As they have self – confidence, people trust them, value their opinions and rely on their judgment. Good leaders lack self – belief. Great leaders have a strong sense of self. They don’t take rejections personally. They invest time in mastering effectiveness and take it upon themselves to self – educate. Great leaders know in order to lead powerfully, confidence is the key; they have a heightened sense of awareness and know their own blind spots and shortcomings and this makes them empowered and willing to make changes within in order to excel. They communicate effectively and put in the time and energy to learn how to develop executive presence and are consequently seen as someone who is assertive and creative. Great leaders know developing flexibility and self – confidence must be designed, rehearsed and constantly cultivated. They are self – assured, authentic and believe fully in their capabilities. They know behaving assertively (not aggressively) brings out the best out in their team. They don’t over extend themselves and take on more than they can handle as they know that isn’t good for their health and well -being or for their reputation. They take a good look at their priorities and ensure they do the high – impact things first. Great leaders deliver speeches with confidence and inspire everyone around them by their lack of self -doubt. 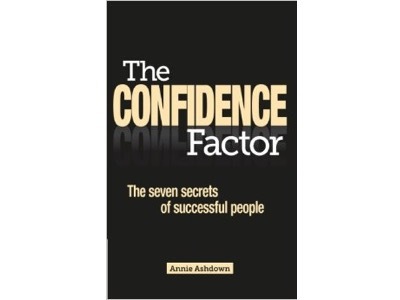 They understand the importance of charm and self – confidence for interaction both digitally and face to face as a winning strategy for success, understanding self -confidence creates a competitive edge and a distinct advantage. They have excellent networking skills; they pick out a key contact and figure out how they can introduce themselves to this person. They do their research on them and prepare themselves. When introduced to the key contact they win them over, memorise them and draw them in like a magnet with their non -manipulative charm. Great leaders have a positive attitude, praise others, are considerate, focus on being more interested than interesting, maintain eye contact when engaging in conversation, treat everyone as equal, are inquisitive but not intrusive, and demonstrate tolerance and understanding. Good leaders are ruled by ego, great leaders possess humility and own their strengths, as well as their weaknesses. They stretch their boundaries knowing there is no short cut to any place worth going and are aware enough to know that growth is uncomfortable. Their intelligence, their experience, their effective listening skills, their patience, their compassion, along with their skills lead them to where they want to get to, but most of all they know that trusting their intuition is what makes them a great leader as a pose to a good leader. 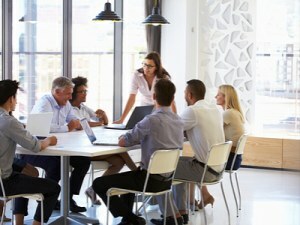 Finally, great leaders know that hiring an executive coach is a winning formula as it helps them raise their self – awareness, build more self – confidence, win respect and cooperation, court risk with more self – assurance, increase their gravitas, speak from the heart with clarity and without fear, or trepidation and lead and inspire with more authority. Annie Ashdown is Ambassador for Dove, UK. 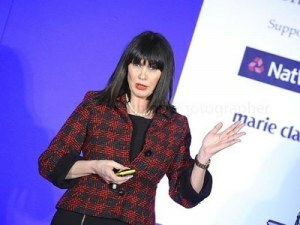 Confidence Expert for totaljobs.com, International Author, Speaker, Success Coach, Master Hypnotherapist and Intuitive. Register on www.anniashdown.com and receive weekly FREE ARTICLES from Annie that give you proven strategies for growing your confidence, overcoming your inner critic, being more assertive, and becoming a person of Influence along with a 45 min FREE mp3 ’97 Empowering Thoughts for Women’ ( value £9.99).